Fill our Facebook page with L.O.V.E. on Valentine's Day! 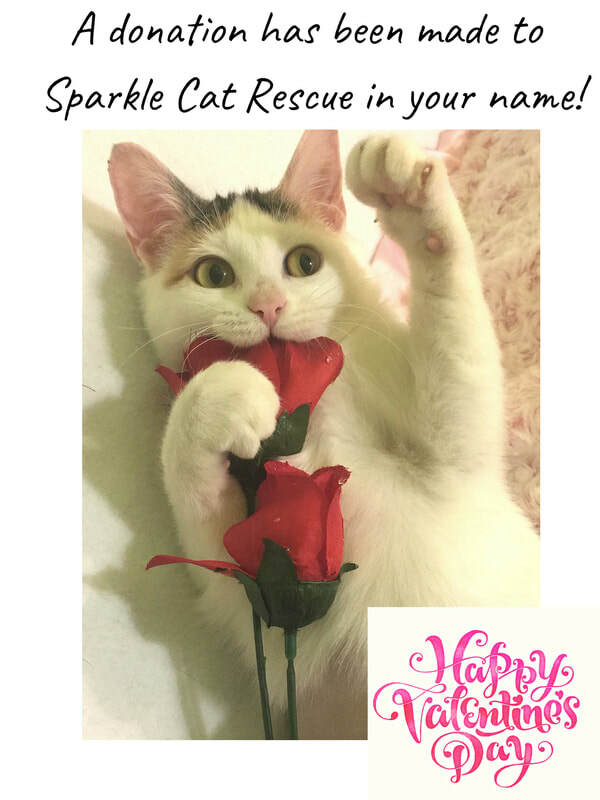 Donate $5 or more to Sparkle Cat Rescue and we'll send an e-card to your loved one or friend with a special message from you! Once you make the donation you will be directed back to delivery instructions where you will provide email address and special message for your loved one/friend. We will also acknowledge your donation on our Facebook page (with your first name and first initial of last name) unless you ask us not to. We do not share donation amounts with gift recipient or on Facebook. 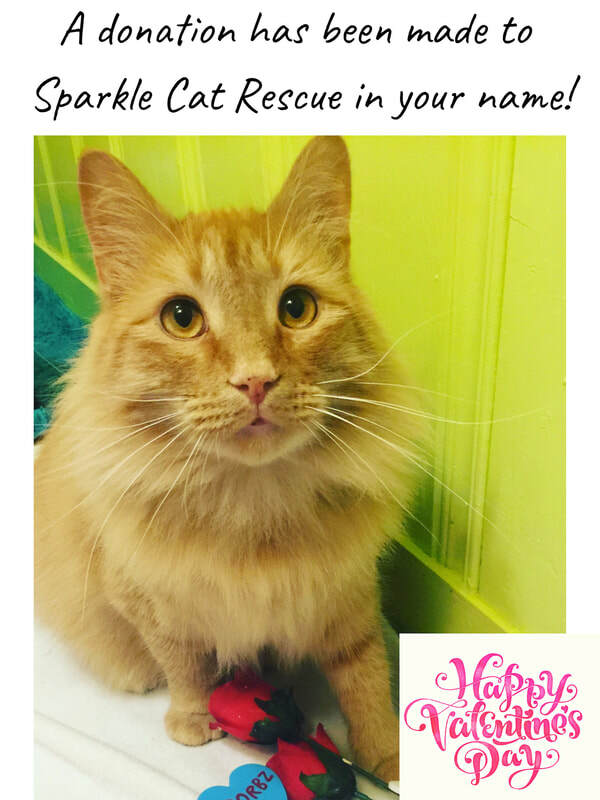 ​Sparkle Cat Rescue is 100% volunteer, nonprofit, with ZERO paid employees. 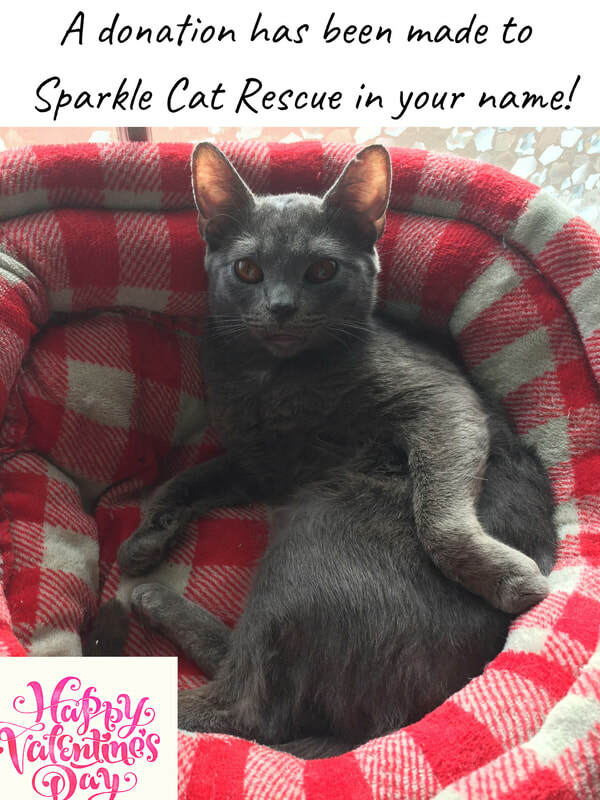 Your donations help with much needed vet care (spay/neuter, combo testing, vaccinations, flea preventative, deworming, emergency vet care), food and litter not regularly donated. Don't want to send an e-card but still want to help us fill our wall with L.O.V.E? Simply donate by clicking the button below. Remember, this is not an option to choose if you do want to send an e-card to a friend/loved one. Once you make your donation, you will be directed back to our website to complete delivery instructions of where to send your card and if you would like to add a special message. Who do we send e-card to? 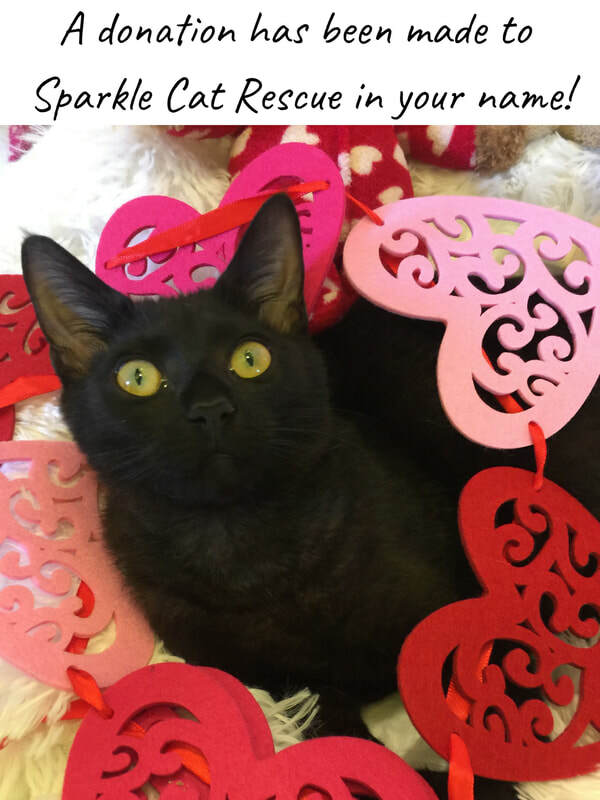 ©2019 Sparkle Cat Rescue, Inc.